AAA, yesterday announced their list of 2017 award winners. Kai restaurant at the Sheraton Grand at Wild Horse Pass was awarded their highest rating and maintained its coveted position as the solitary Five-Diamond restaurant in the state of Arizona. This announcement marks Kai’s eleventh Five-Diamond designation and sets them apart as one of the prestigious few in a small group of Five-Diamond restaurants in the nation. It is an honor to once again be recognized as the finest dining establishment in the state and amongst some of the most elite in the country,” said Bunty Ahamed, General Manager. “It is evidence of an entire team who diligently earns this recognition with each guest, every night, through a service experience that tells the sacred story of the Pima and Maricopa People. Guests come to Kai to be inspired and we are proud to continually deliver a night of perfect moments,” said Ahamed. 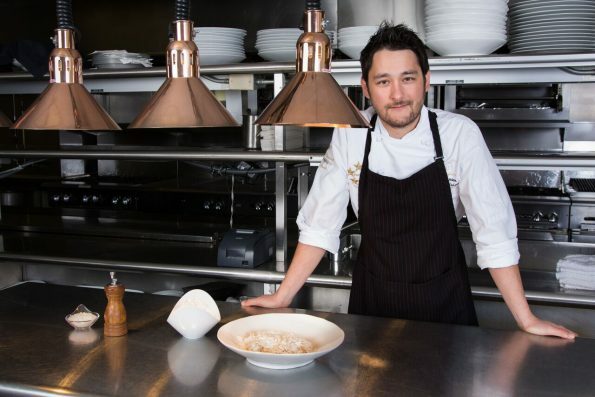 Kai has spent the last fourteen years elevating Native American inspired cuisine and service standards to national levels of critical acclaim. The sophisticated dining experience in Kai continues to evolve with recent enhancements to Kai’s dinner menu. Kai’s team of talented chefs and service staff insist upon pushing the envelope on creative culinary concepts, service standards and being leaders of the fine-dining conversation. Staying in step with luxury dining rooms across the nation demands an inspired, fresh and seasonal approach to menu innovation. The new winter menu, spearheaded by Kai’s Chef de Cuisine, Ryan Swanson, continues to be punctuated with seasonal, local and Native American influences and will see rotations every several weeks.